Hillside Gardens, Bocking, Essex. Summer 1946. Mike Bardell contacted the Prefab Museum by email on 10th October 2017. He had met someone who had been to a talk and offered to write about prefabs in Bocking and Braintree, Essex for our project. The copyright of aerial photographs belongs to Michael Bardell, Braintree, Essex and acknowledgements must also be made to Simmons Aerofilms Limited and other photos are courtesy of the Braintree and Witham Times. 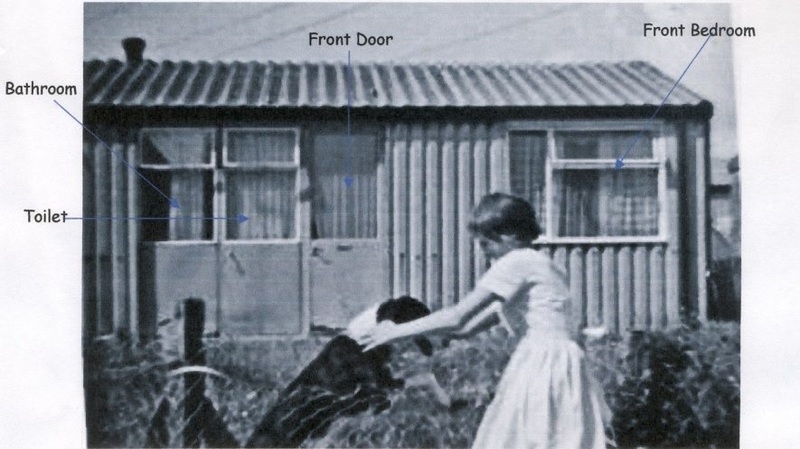 Many thanks to Mike for this blog post and to his friend John V Nicholls for the information about prefabs in Hutton near Brentwood. The two towns of Braintree and Bocking are contained in one urban area and are usually described today as ‘Braintree’. The two parishes, divided by Roman Stane Street (actually an Iron Age road), later the A120, were formally linked on 1 January 1934 under Braintree & Bocking Urban District Council and it was this council that instigated a considerable development of prefabricated bungalows in the late 1940s. There were two sites, one in each parish with Bocking presumed to have been built and replaced first. 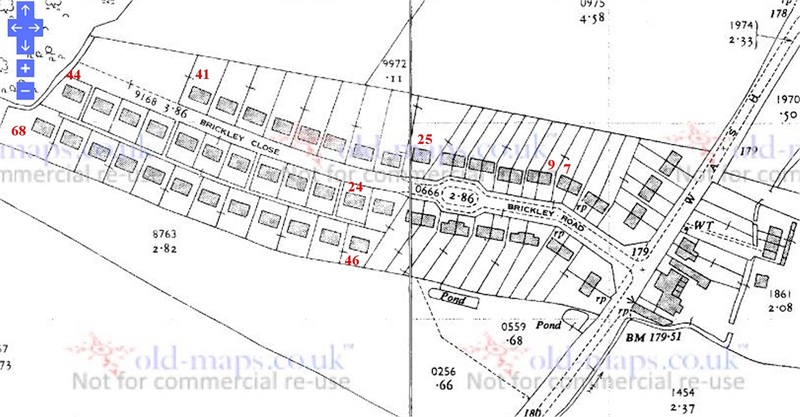 The Bocking site bestrode Coldnailhurst Avenue and is adjoined by BISF houses of which the MPM&A is aware. 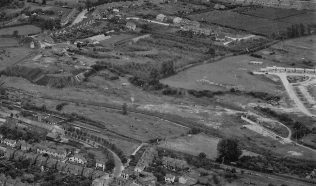 The Braintree site was mainly situated on Hillside Gardens a little over one mile south south east of Coldnailhurst Avenue. The terms Bocking and Braintree will be used to describe the two sites hereafter. 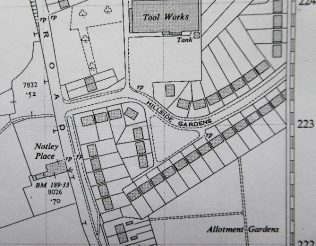 The principal roads were Lancaster Way, Alexander Road and Arnhem Grove with further prefabs on Bailey Bridge Road and Coldnailhurst Avenue. Regrettably a 1951 OS sheet for the northern part of the site is not available. 2 However, all 127 prefabs (probably 131 originally) can be seen on this 1952 aerial view taken from the south east. 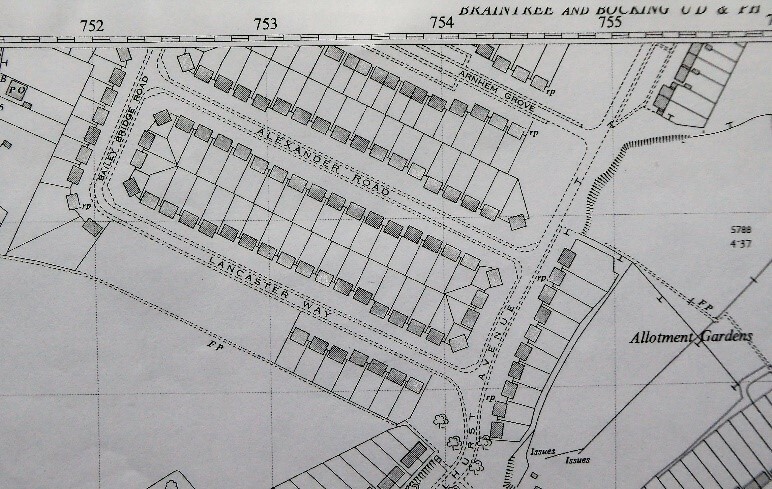 In summary, ten prefabs were sited on the east side of Coldnailhurst Avenue, fifteen on the west side of Bailey Bridge Road, seven on the south side of Lancaster Way with the remainder on both sides of Lancaster Way, Alexander Road and Arnhem Grove. Careful examination of the photograph reveals three pairs of modern traditionally built bungalows midway along the north side of Arnhem Grove, see also the photograph below dated 1954. 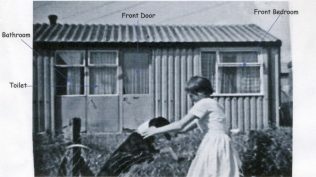 The author has always believed Braintree prefabs to be the Phoenix type but the one visible below seems to be at variance to those in later photographs. The Prefab Museum has confirmed these are the AIROH B2 type. 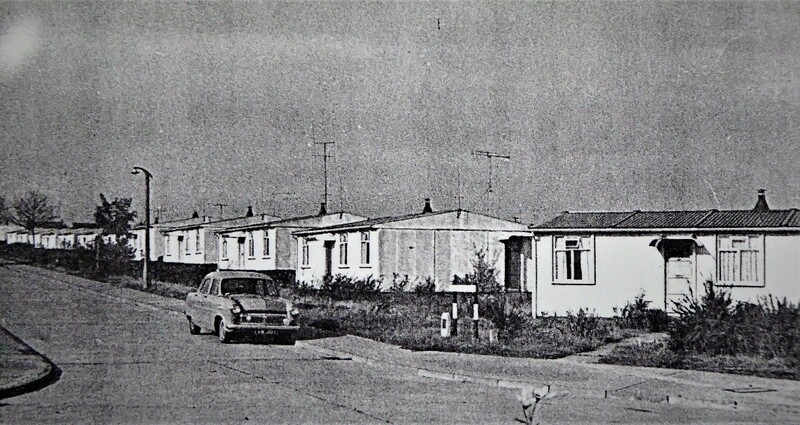 B&B UDC announced in August 1960 that prefabs would be demolished as they became vacant. 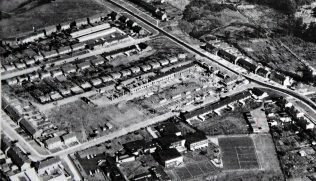 The 1965 photo below shows demolitions and new council houses in various stages of construction with prefabs remaining only in Alexander Road and Arnhem Grove. They too would soon disappear and none remain today. The principal road was Hillside Gardens with five further prefabs on Notley Road and six on Rifle Hill. 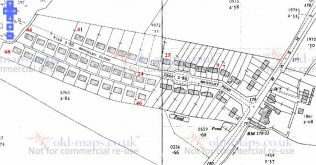 Regrettably the two parts of the 1951 OS sheet below just fail to capture all 46 prefabs on this site. Originally there were 50 but four were demolished to make way for Stephenson Road. Perryfields is a recent new street. Prefabs. Between October 1949 and 1952 I lived at 24 Brickley Close, Hutton. 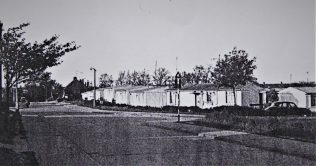 The 33 (not 32) prefabs were built as a continuation of the Brickley Road council houses that were erected c.1932 by Billericay Council. Other Billericay Council erected houses of the same design can also be found at Billericay Road, Herongate, School Road, Billericay and on the London Road, Ramsden Bellhouse, near Wickford. 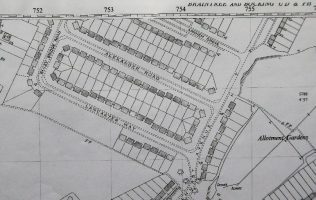 The 33 prefabs in Hutton were arranged in three rows – the third row accessed by four paths from the road. 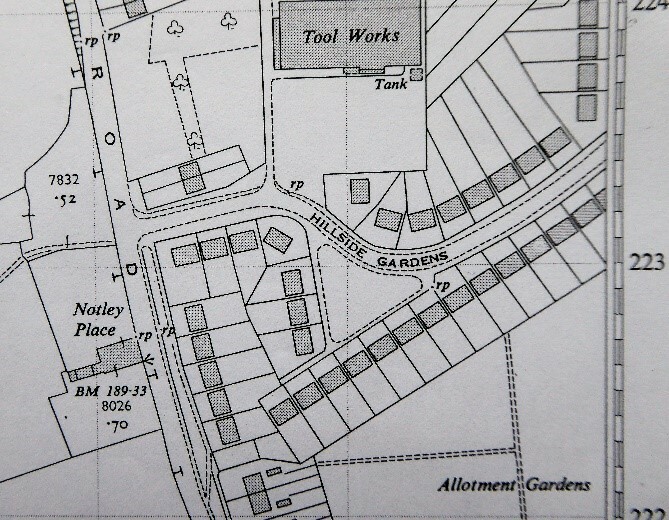 In 1952 I moved down to 7 Brickley Road, next door to where I now live. 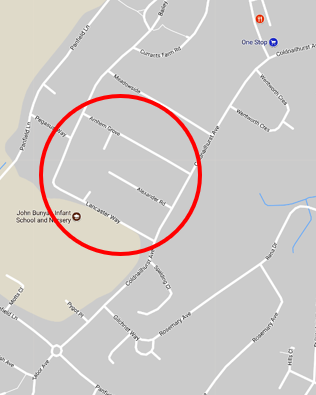 When the Long Ridings estate was built through from Shenfield from the late 1950s Woodland Avenue was joined up into the top end of Brickley Close and Brickley Road and Close were renamed Woodland Avenue. No.7 Brickley Road became 222 Woodland Avenue. I now live in the former 9 Brickley Road. Brickley Road took its name from Brickley Shaw woods that ran north to south from the top of the close to the north side of the railway. 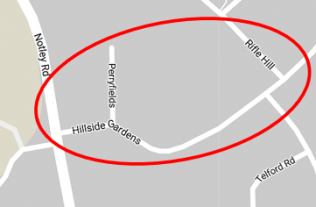 A few of the roads on the Long Ridings estate also bear names with local relevance. Long Ridings after the same named woods at the back end of the Hutton Poplars site. Wid Close after the nearby River Wid. Arnolds Close after (several choices) Arnolds Shaw or Arnolds Woods or Arnolds Farm. 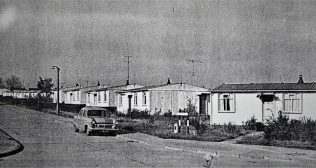 The Hutton prefabs were taken down c.1966 (I was living in Ipswich November 1965 to August 1967) and replaced with blocks of flats and maisonettes. 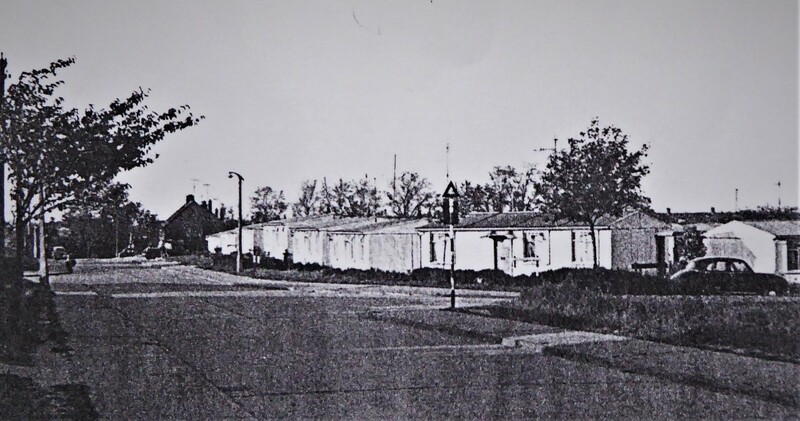 A further estate (named Highwood Close) of 45 prefabs was erected at Costead Manor Road, off the Ongar Road (see other attached). I assume that they were removed and the site developed in the same period as those in Hutton. Two prefabs survived for some time after the removals. One went to Palmers Farm, Hall Lane, Shenfield and used as a home until a new property was built around it. The other was used as a stone behind one of the units on Hutton industrial estate. Notes 1. Ground level photographs are from the Braintree & Witham Times. They started life in the author’s archive as photocopies and some attempt has been made to enhance them. 3. Copyright of aerial photographs belongs to Michael Bardell, Braintree, Essex and acknowledgements must also be made to Simmons Aerofilms Limited. A friend of mine sent me a link to this yesterday, this is particularly interesting to me as I was the first child to be born in Alexander Road in Braintree. My mother still lives there today. I can see John Bunyan School in the next road, a sight I could see from my bedroom window every morning. My mum will be interested in seeing this, I’m sure she will remember the prefabs that stood there before as she lived nearby in Beech Avenue. I would just like to say thanks to my friend Chris for bringing this to my attention. This was really interesting to read as I was born in a prefab at Brickley Close, Hutton and we moved out to the new houses built in Wainwright Ave 2 weeks after I was born which was June 1960. I would love to see more photos of the prefabs.